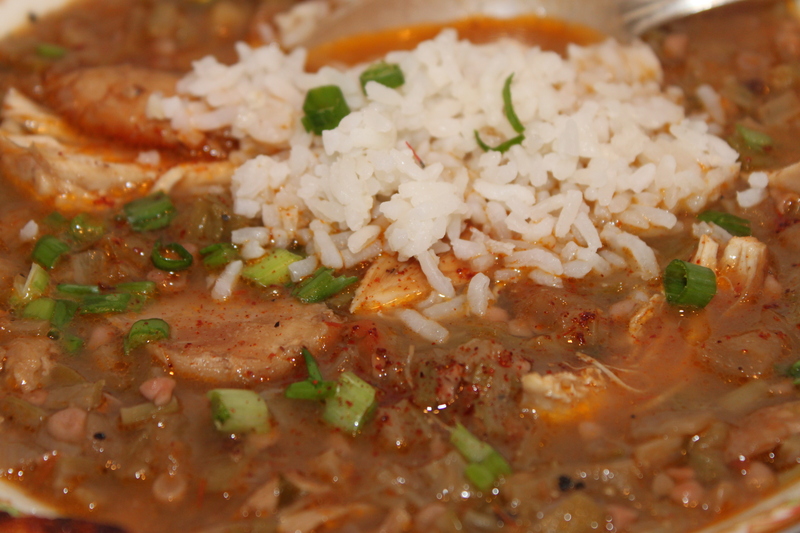 When I make a Chicken and Okra Gumbo, I always use a chicken and not a hen (and no roux in this gumbo! )…unlike the “Hen, Sausage and Tasso Gumbo” from Day 1 – come to think of it, there are a lot of rules when it comes to gumbos! 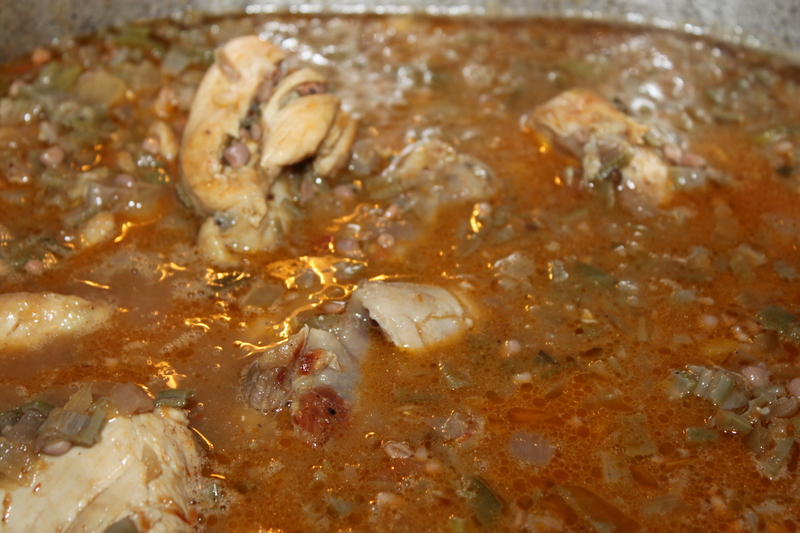 Maybe, that is part of the mystique behind gumbo – and, again, it changes from family to family and area to area. So, this is my family recipe…straight from Arnaudville! 8 cups of fresh sliced okra; If you can’t find fresh okra and can’t rob your mother or friend’s freezer for a pack of their smothered okra, then I guess frozen cut up pieces can do! Add okra, onions, bell pepper, tomatoes and 1/2 tsp of white vinegar (the vinegar will help cut the slimy texture of the cooked okra) and cook for about 1 hour, stirring often. I usually buy a sack of okra in the summer, cook a large pot and freeze in quart size bags. 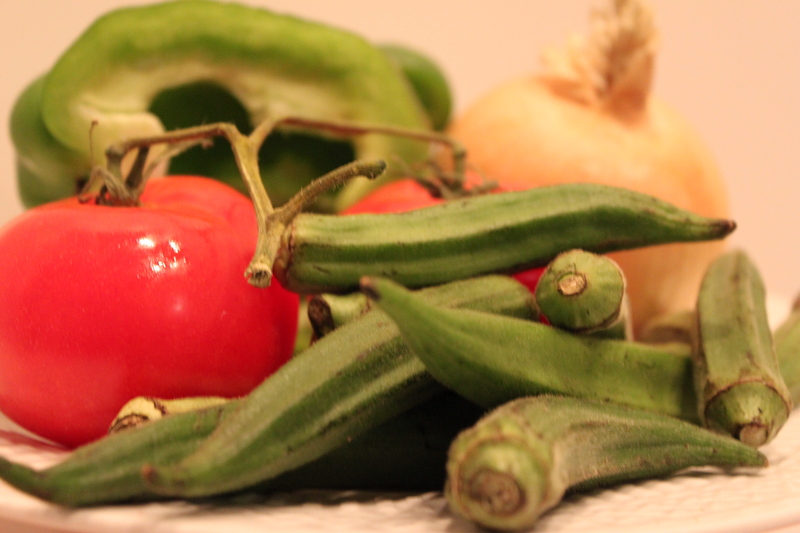 That cuts the time and makes cooking okra gumbos sooo easy! 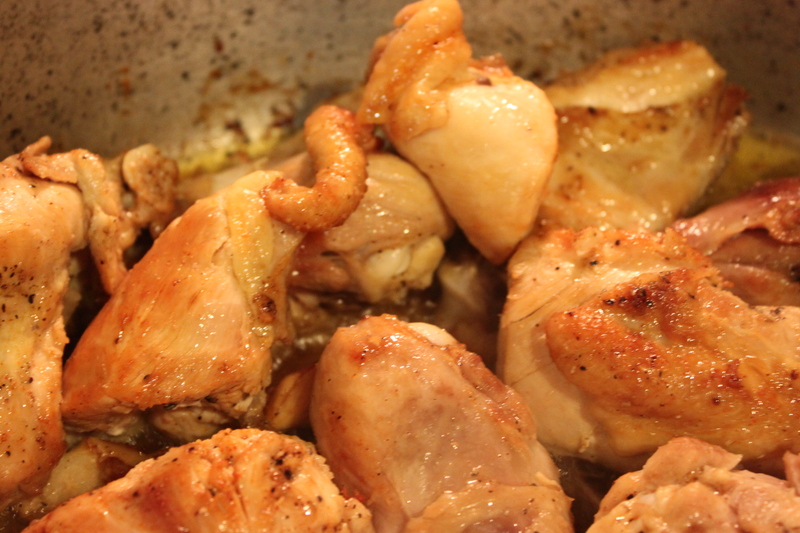 Add browned chicken and stock into pot with okra, season to taste and simmer for 1 – 1 1/2 hours. 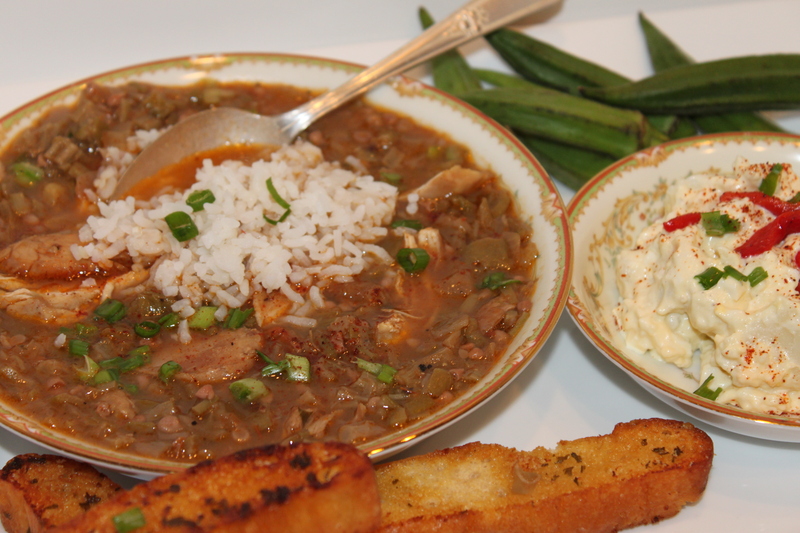 Yes, this is what I call my kind of comfort food…Chicken and Okra Gumbo – Food that Works! It is always hard to decide, but this is the gumbo that I usually choose for ME, too! My girls always want hen and sausage, Daniel is the “master” of smoked duck and andouille and Robert loves seafood gumbo…. Although, the pot is usually empty, regardless of what kind of gumbo I make! Enjoy! 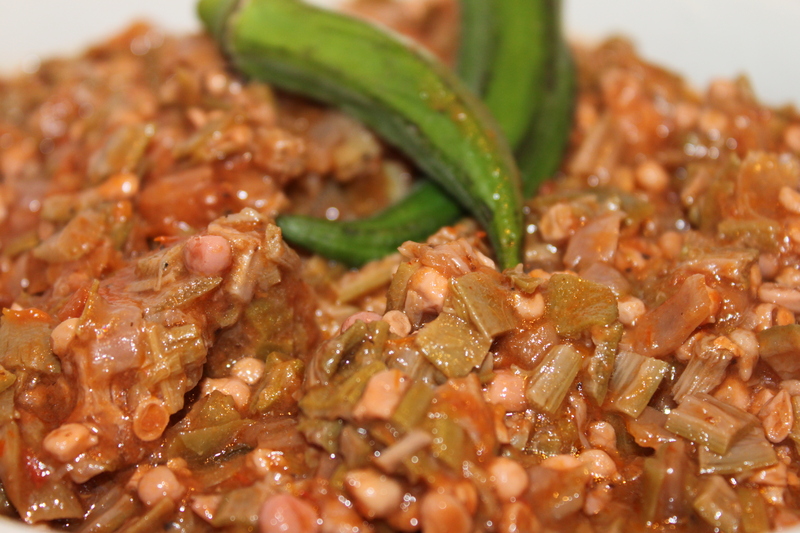 I sometimes forget about the okra (in lieu of roux) based gumbos….happy to be reminded. Really enjoyed the conversation last night at the Hilliard Museum Wine and Food Fest! Will definitely return next year….Table 8 was great fun! Oh, Rosalind, it was so much fun to meet both you and Sam. Great event…making it an annual!